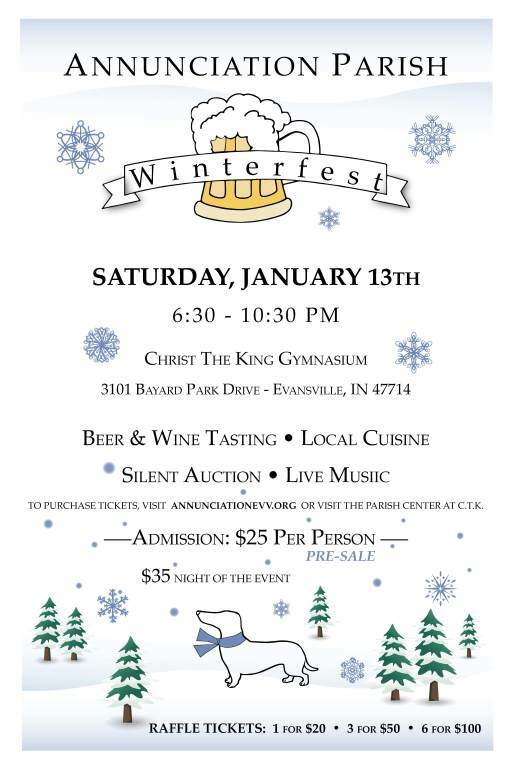 Annunciation Parish's Men's Ministry is planning to host Winterfest again this year! It will happen on Saturday, January 13, 2018 at Christ the King Gymnasium starting at 6:30 pm. Click here to purchase your advanced tickets for $25. The cost is $35 at the door on the night of the event.